Sunday. Day of rest. Lie in. Loaf around on the sofa. Relax. 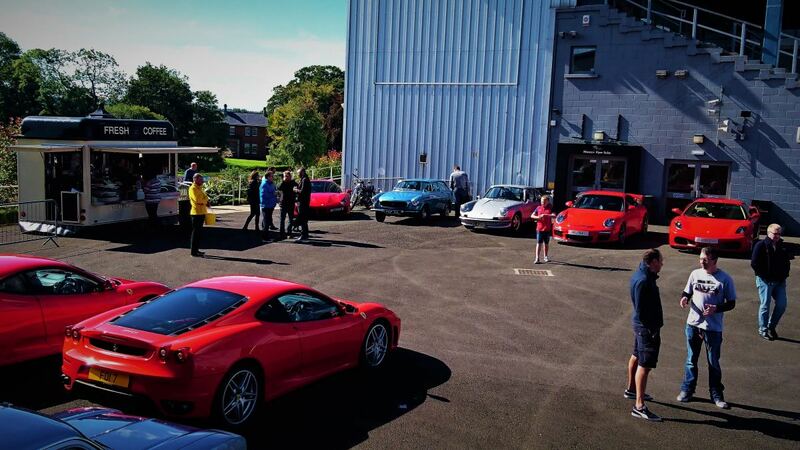 Or alternatively, get up at the crack of dawn and use the coffee element of the Thoroughbred Sports Car Club’s cars and coffee meet as the stimulant to enjoy an incredible collection of cars. The lush green expanses of Down Royal Race Course were bathed in the last remnants of summer sunshine and provided the TSCC with perfect conditions for their latest get together. An incredible number of beautiful and diverse cars parked up in front of the main stand and viewers admired an altogether different breed of horse power. An anything goes ethos means that a classic Citroen DS can rub shoulders with a spritely little MG, whilst super cars parade in the paddock. Down Royal has seen its far share of prancing horses in its time, but none prettier than the troop that turned up today. Whilst the Italian marques rustled up stong representaion (and not just Ferraris either – Fiat, Lancia, Alfas and Maseratis were in attendance), the love for muscular German machinery lingers long in Northern Ireland. The latest BMW M Power and Audi RS machinery could give any super car a fright, either round a track or a straight line. That said, some times it’s hard to beat the timeless classics like the Volkswagen Golf GTI. 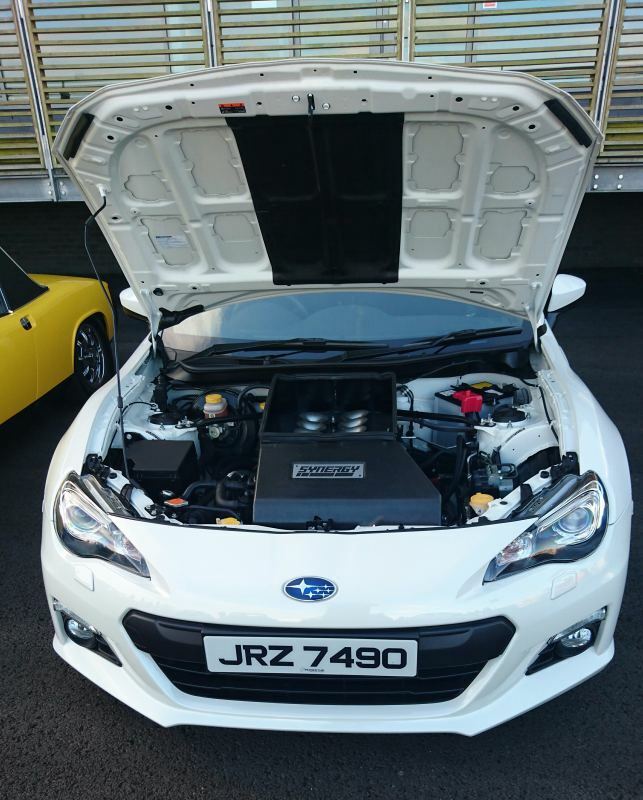 The Momentum Motorsport built Synergy GT86 is a totally understated piece of engineering. The subtle looks hide a mental engine swap, with a red line somewhere north of 11,000 rpm. Yet the whole thing looks like factory fit. At the other end of the scale, the little Morris Traveller offers a more gentile drive, but still looks a hoot nonetheless. It’s also easy to forget that Saab – gone but not forgotten – used to make very good cars indeed. That is before the GM Accountants neutered the engineers forcing them to build cars from cast off bits of Vectras. The original 900 Turbo was the embodiment of Swedish design and odd-ball ingenuity. So many cars, just not enough time. Next time you wake up on Sunday and need a coffee, grab the car keys and head for Down Royal.